If you are planning to organise a snack party and want to make some special dip to amaze your guests, then nothing can be better than making a fabulous El Chico Queso dip. 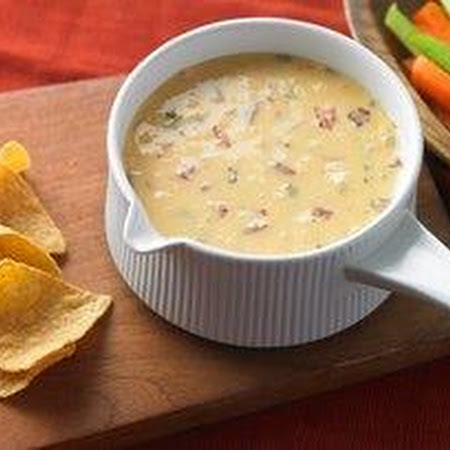 The El Chico Queso dip, as its name suggests, was first created in El Chico’s, present near the red river, and is known for its amazing taste. Many people across the state come to El Chico just to have this special dip. If you want to make your guests enjoy this special dip, then you do not need to go to Oklahoma and purchase it. In fact, you can make it right at your home, especially when all the ingredients required to make it are easily available in the market. Take cans of no-salt-added diced tomatoes, along with fresh diced tomatoes and green chillies, and pour them into a colander placed over a small bowl. Drain the liquid and reserve 1/3 cup of it. You can reserve the remaining liquid for future use, or you can simply discard it if you feel that it will be of no use to you in the future. Take a large skillet and put onion and garlic in it. Now you need to sauté them using oil until tender. Add in cream cheese and mix well, until it completely melts. Now you can add the processed cheese, chilli powder, tomatoes and the liquid that you reserved in step one. Cook for a few minutes over low heat. Here, you should keep stirring the mixture until you find that the cheese is fully melted. Add in the cilantro at the end, and stir well to blend it in. Take a 1-1/2-qt. slow cooker and pour the mixture into it, to keep it warm. The famous El Chico Queso dip is now ready; serve it with tortilla chips, and enjoy.